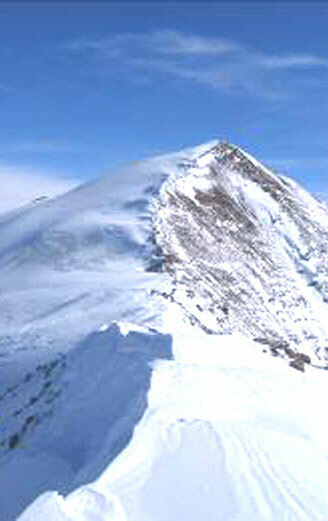 Region: The Huiten peak (4374m) in Altai Tavan Bogd is the highest point of Mongolia. Mt. Altai Tavan Bogd is located near the northwestern border of the country. 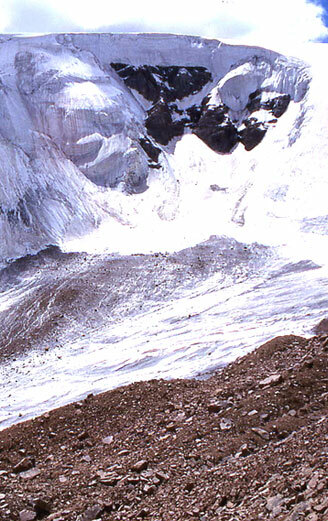 Glacier and ice are permanent in the high altitude areas of Tavan Bogd. The peak of Mt. Munh Hairhan is 4,326m above sea level. 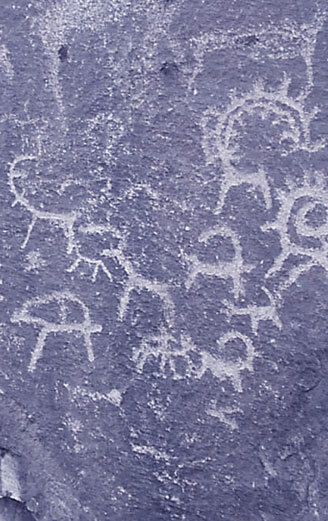 Interesting Sites: Western Mongolian landscape, snow-covered mountains and nomad lifestyle of some of Mongolia's ethnic groups such as the Kazakh people. Altai Tavan Bogd and the magnificent natural scenery throughout the Altai mountain chain. You will cross several large crevasses and climb on steep ice (45-60) and hard snow. Continue the drive to Mt. Tavan Bogd base camp by jeep (200km). Overnight stay in tents. Trekking to the N1 camp by the side of the Potanin glacier through some moraine and several large crevasses. It will take approximately 6 hours depending on snow conditions. Overnight stay in tent. Scale the Huiten peak (4374m). It will take approximately 4 hours. Then descend to the N1 camp and back to the base camp. Drive to Tolbo Lake on the way to Hovd town. Overnight in tent. Continue driving to Hovd town and further to Munh Hairhan Mountain. On the way visit another Kazakh nomad family. Reach Munh Hairhan Mountain and begin climbing preparations. Climb the Munh Hairhan Mountain, up ice slopes, to establish the N1 base camp. summit of the second peak and descend down to base camp for overnight. Drive to Hovd town. Overnight in local hotel.